This trouser pants are one of the few fall clothes I could find in my closet. After having extreme hot weather, suddenly it feels like fall here. I guess it’s time to change into fall clothes and put away my summer ones. I’ll see if there are some clothes I can get rid of too.. it’s kind of my weird hobby to do every season! I love cleaning out my closet every season too. I feel like I can breathe easier and the best part is, there’s room for new clothes. you’ve got such an awesome blog, keep up the good work! you have a Micheal Kors bag he’s my favourite designer ! 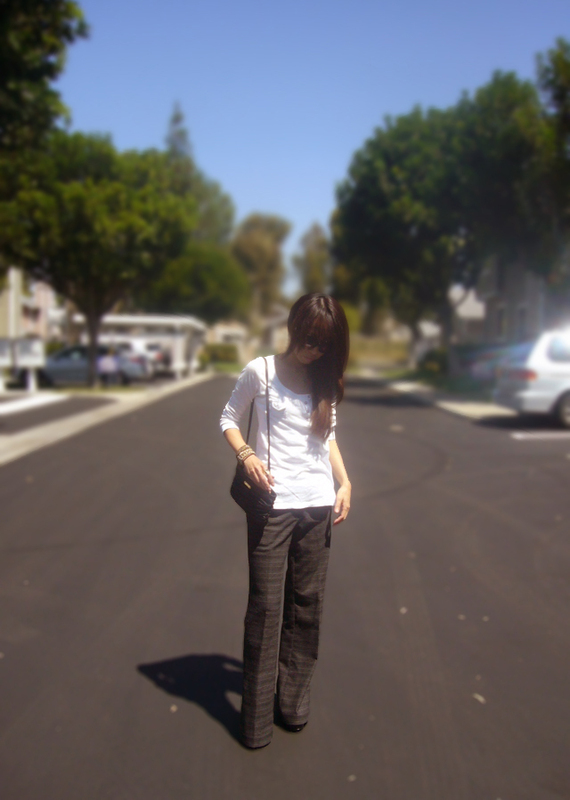 akiko ~ i love your fall-like trousers! you look really great and that bag is amazing!! thanks so much for your sweet comments as always!! Love the pants! Great look!